In today's world, where technology in cell phone cameras continues to improve and becomes more affordable every day, we are surrounded by a sea of images in our daily lives. And while many may complain that this fact is ruining the photo industry, I like to think similar to Jeremy Cowart's article in that we all want to be liked and there is more than enough room for everyone in this field. However, with so many images being produced every day, you may ask "How do I stand out?". I believe that the answer to this question is simply quality and uniqueness. We have more resources available to us now more than ever. With this in mind, our greatest assets are our point of view and the mastery of the tools we have at our disposal. The following video by Evan Puschak, The Nerd Writer talks about the technique of pre-visualization and how it was used by one of the greatest photographers in history: Ansel Adams. This technique alone can help improve your photographs tremendously even though it presents bigger challenges when creating a photograph. Instead of just looking to capture a well exposed and pleasing composition, you need to look "inside the mind's eye", as Adams says, to determine what elements to manipulate when creating your image. Whether it is using a different angle, lens, waiting for a specific moment, or adjusting your exposure in a particular way, this pre-visualization can help you consciously craft what you see in front of you more accurately. I took the photo below a few years ago without realizing that I had used the visualization technique. Essentially, I would walk by this area of my neighborhood very often, and when I did, I would think about how I would want to capture this image. I would bring a tripod, try different long exposures, and white balance settings until I got the desired colors. Finally, on the day when I decided to actually take the photo, I had already gone through a "dress rehearsal" in my mind of everything that I wanted to do. The actual process would go smoothly and I ended up with the image you see here. 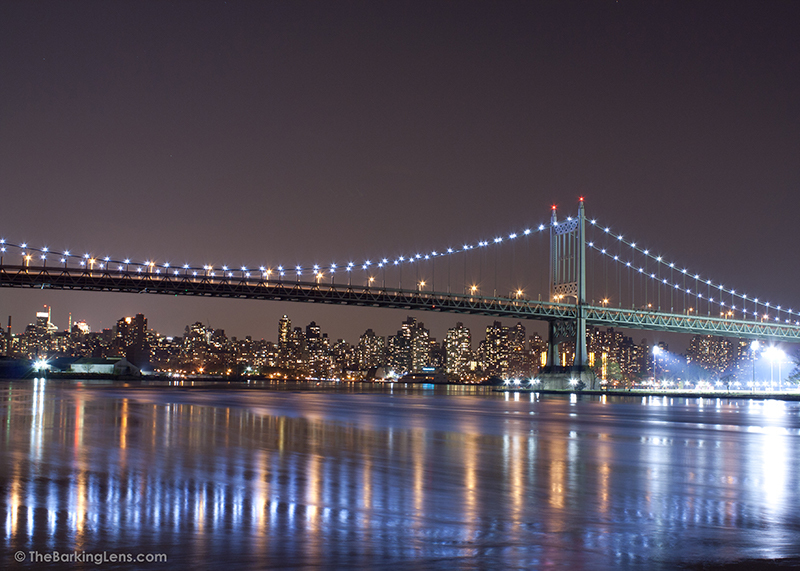 Triborough Bridge as seen from Astoria Park in Queens, NY. I highly recommend you try adding pre-visualization to your photography toolkit. If you do, please let me know the results or any tips you have in the comments below. Thanks!